Dir: Take Hwy 85 north to Lake Silver Road (6 miles north of I-10). Turn left onto Lake Silver Road. 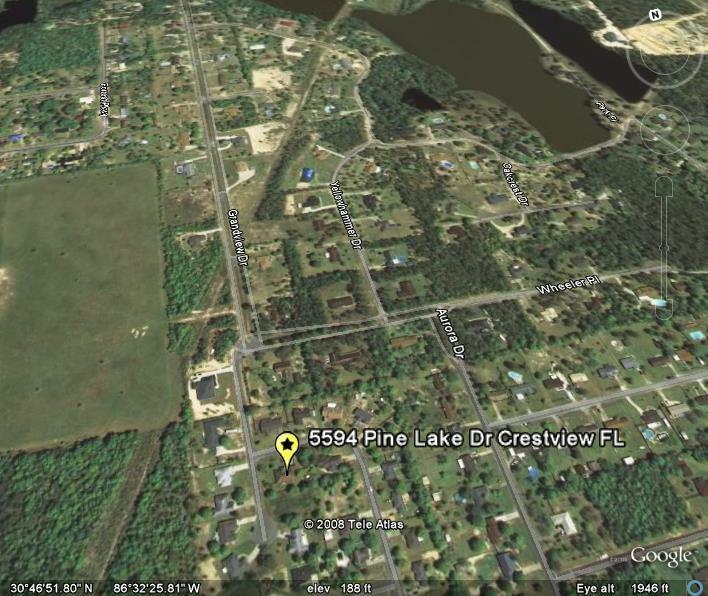 Go 3.5 miles to Lakeview Dr S.
Welcome to the peaceful Lake Silver subdivision. This spacious two-story home boasts over 2400 square feet of living space with fresh neutral paint and new carpet throughout. 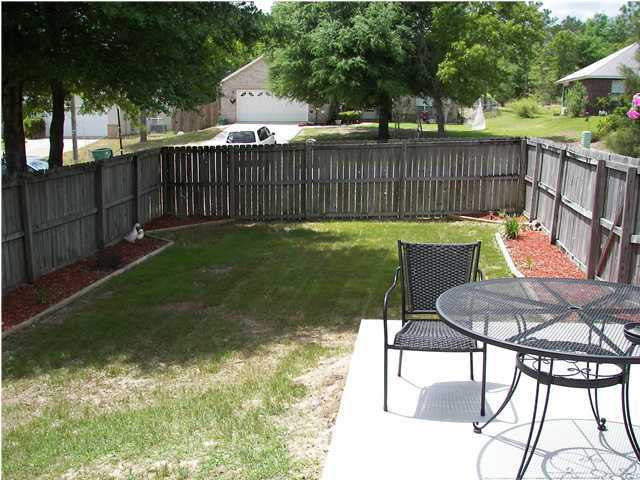 Each of the 3 bedrooms has its own full bathroom, with a separate downstairs half-bath for company. The front door opens to a tiled foyer leading to the generously-sized living room which feels even larger due to the soaring ceilings. A convenient electric fireplace provides cheerful light and warmth. The roomy eat-in kitchen features black granite countertops and stainless-steel appliances that add a subtle modern elegance, and the open floor plan allows easy interaction with guests as you cook without missing the party. The master suite is located on the ground floor for easy access. His and hers vanities, a garden tub, and a separate shower make your morning routine smooth and efficient. 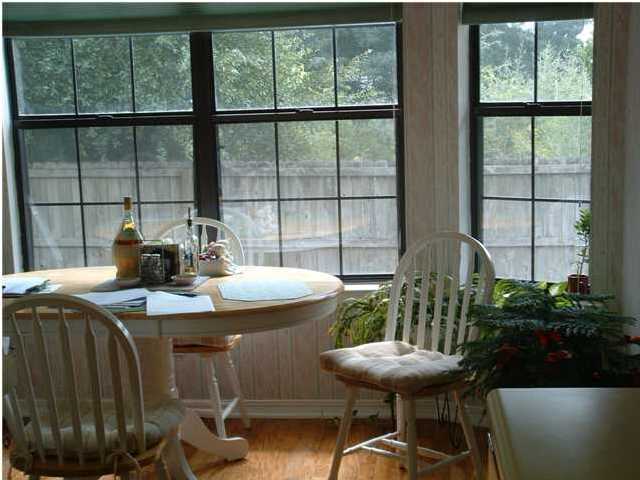 The bright and airy upstairs hallway and bedrooms receive plenty of natural light. All bathrooms are tiled for easy cleaning. 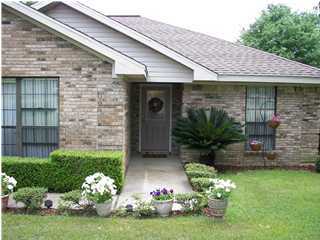 The flower bed along the covered front porch is easy to maintain with the timed sprinkler system. 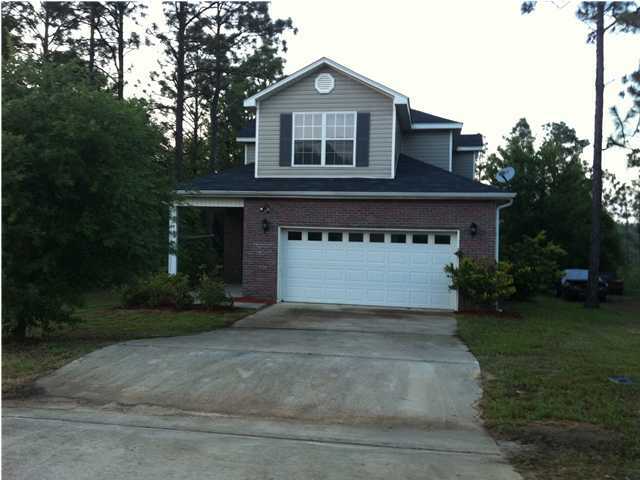 This home is move-in ready and won’t last long!